Hurricane season is truly underway, and looks to be one of the worst on record. 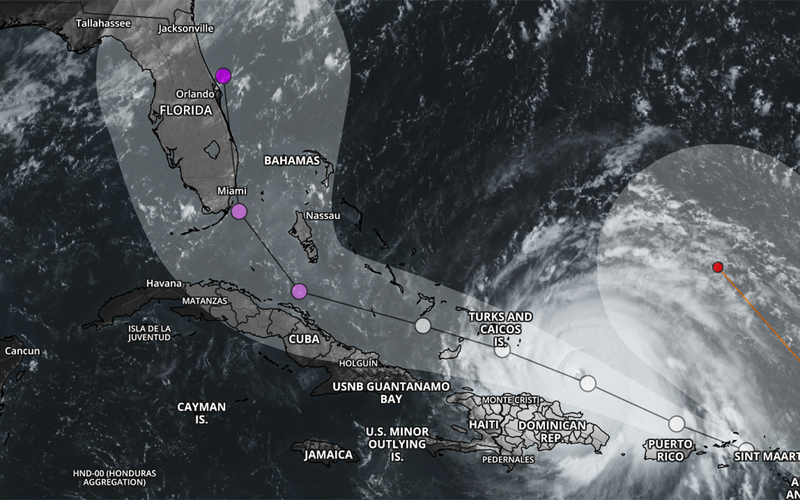 Puerto Rico, St Martin and many other Caribbean islands have seen devastation and destruction on an epic scale in the last few days, and the state of Florida looks set to be next. Hurricane Irma is expected to make landfall some time this weekend, most likely by Sunday. Some 3-5 feet of storm surge is predicted on Florida's East Coast, and tides will be high around 5am and 6pm on Sunday 9th. If you are in the projected path of the storm, or know someone who is, we advise checking the FEMA Resource page, which has information and links to help prepare for the worst. For those of you who aren't going to be directly affected, we're sure, like us, you'll be thinking of our brothers and sisters in the South East and the Caribbean over the weekend and beyond. With the damage and loss of life seen in Texas after Hurricane Harvey still fresh in our minds, and Hurricane Jose now picking up speed out in the Atlantic, you may be wondering what you can do to help. We would suggest giving to Global Giving, where you can make donations to both the ongoing Harvey relief effort and in preparation for Irma. Another organization you may wish to consider is Direct Relief. Wherever you are, we hope you and your loved ones are safe.